Our metal toxicity test "Elemental Analysis, Hair" provides a convenient and accurate means of screening patients for chronic toxic exposure and nutrient element deficiencies. Using this test, our office can determine imbalances that may trigger conditions such as chronic fatigue, depression, ADHD, cardiovascular disease, and thyroid problems. Element insufficiencies or excesses have been proven to significantly impact health. With increasing amounts of toxic metals in the environment and widespread nutrient insufficiencies, screening patients for element imbalances and excesses provides heightened clinical value. Studies confirm that chronic exposure to toxic elements can progressively impair various enzymatic and neurologic processes, leading to a variety of health conditions. Systems affected by toxic element accumulation include gastrointestinal, neurological, cardiovascular, and urological. As our environment continues to become more polluted, our exposure to toxic elements is increasing at an alarming rate. Elements such as mercury, lead, aluminum, cadmium, chloride, fluoride, and arsenic (which can be deadly in high dosages) are present in many common products we handle and ingest. 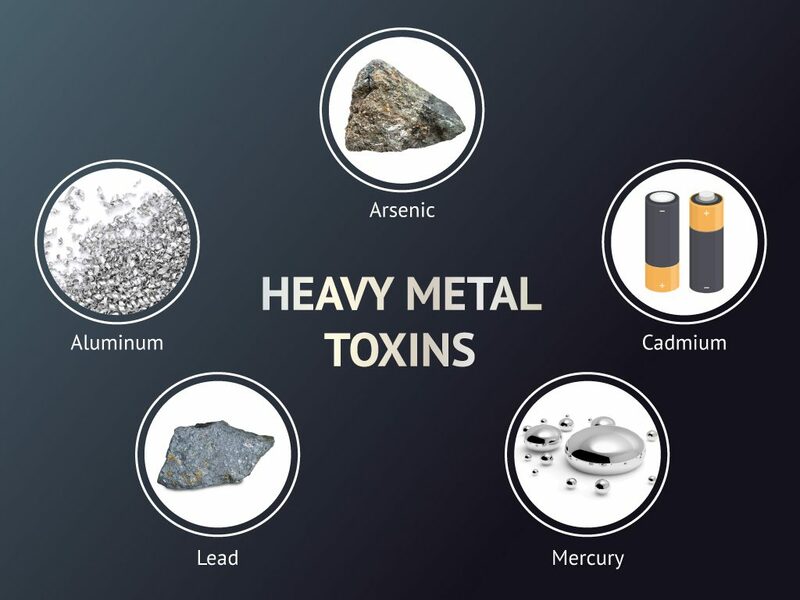 Heavy metals can be found in things such as food treatments, air pollution, packaging, food additives, cosmetics, and electronics. And even in smaller dosages, these toxic elements can cause severe symptoms. Structural components, as seen in the skeletal system, as well as compounds such as vitamin B12, hemoglobin, and thyroid hormone. Cellular regulators and cofactors in a wide array of enzymatic reactions. Various factors may trigger deficiencies of nutrient elements, including poor diet, maldigestion, malabsorption, and competitive inhibition by toxic elements. 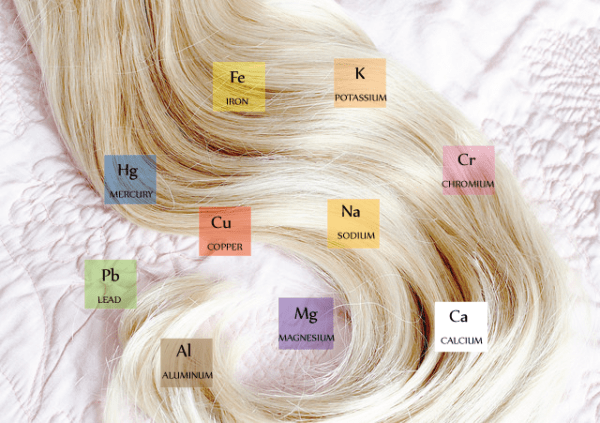 Hair analysis is a useful tool for screening mineral imbalances and toxicities. Unlike blood and urine, hair acts as a storage depot for elements. The growing hair follicle is richly supplied with blood vessels. The blood that bathes the follicle is the transport medium for both essential and potentially-toxic elements. These elements are then incorporated into the growing hair protein during keratinization. In this way, element concentrations in the hair reflect concentrations in other body tissues. Numerous papers discuss the accuracy and efficacy of hair testing, particularly for toxic metals such as mercury. An EPA. study concluded that hair is a "meaningful and representative tissue for biological monitoring of most of the toxic metals." At the same time, hair testing should be regarded as a "screen", since levels may also reflect external contamination. Hair analysis is noninvasive, inexpensive, and allows for investigation of nutrient/toxic interactions. Once these pollutants are identified, our clinic uses natural products to help bind and eliminate these toxins from the body and begin the healing process.